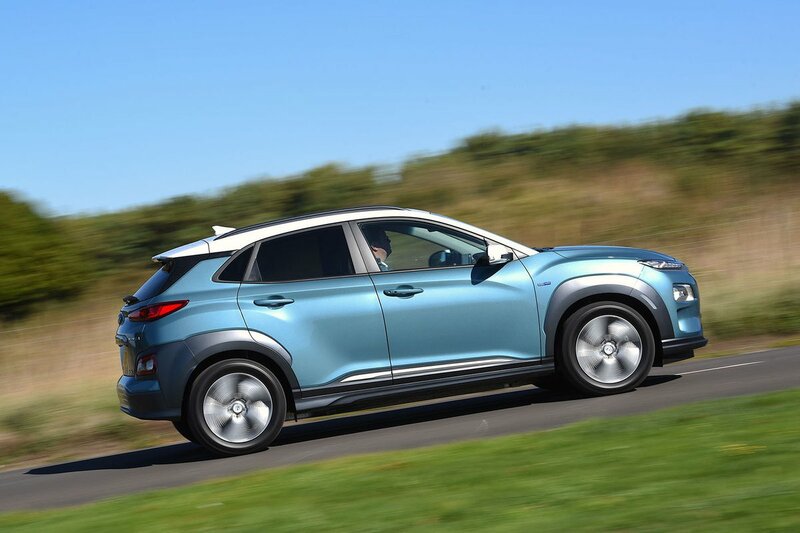 Hyundai Kona Electric Interior, Sat Nav, Dashboard | What Car? Not only does the Kona’s steering wheel move in and out as well as up and down (the rival Nissan Leaf’s only does the latter), you also get adjustable lumbar support as standard – something that isn’t even available as an option on the Leaf. 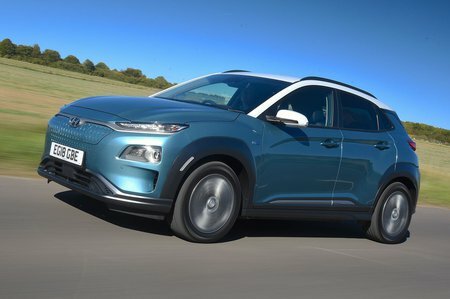 The Kona is the far easier car to see out of, too; the Leaf’s chunky and windscreen pillars can really block your view at junctions and roundabouts. Over-the-shoulder visibility could be better (blame the chunky rear pillars) but all versions come with a reversing camera and rear parking sensors to help mitigate this. Go for Premium or Premium SE trim and you’ll also get sensors at the front of the car. You won’t be blown away by interior quality; the Kona isn’t as classy inside as a VW e-Golf, although it has the edge over the Nissan Leaf. Everything feels sturdily screwed together and most of the Kona’s buttons and knobs operate slickly. It’s just a shame the leather on the steering wheel feels a bit plasticky. Go for entry-level SE trim and you’ll get a 7.0in touchscreen infotainment system with a DAB radio and Apple Carplay/Android Auto smartphone mirroring. The posher trims get a larger 8.0in touchscreen and add built-in sat-nav with live traffic updates and wireless phone charging. 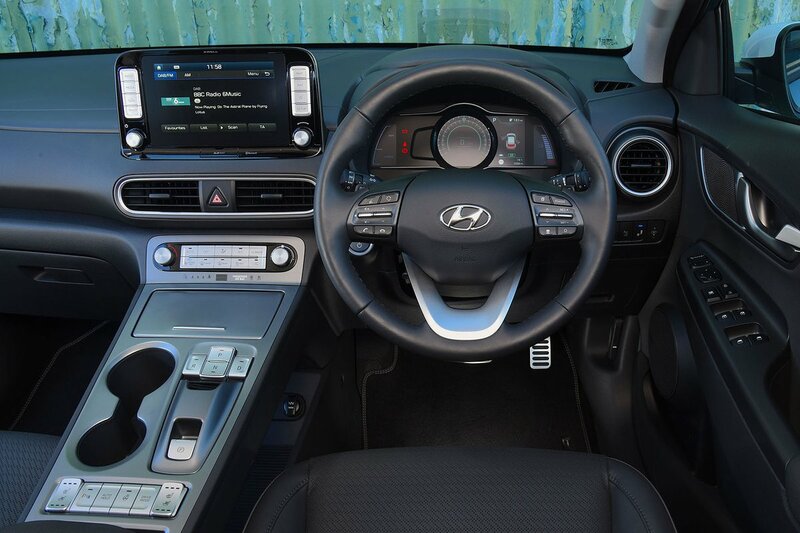 However, both systems are pretty simple to use and the fact the screen is positioned high up on the dashboard means you don’t need to divert your eyes far from the road to see it.